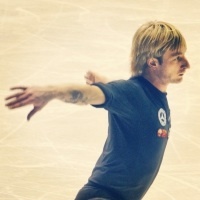 * Plushenko will take part in PIW as a guest! Zhenya don't come to Japan. I had been looking forward to coming to Japan and participating in PIW Tokyoshow, but I have to make a decision not to take part in the show. As you know, I had a surgery last January. Then I have started to train onthe ice from June 17th. I was planning to perform new SP for PIW Tokyo, but I have a back pain now and am not in condition with performing the show yet. I am very sorry for this decision to make you disappointed. Get well soon Zhenya! I hope you everything goes well! dustman wrote: Zhenya don't come to Japan. Евгений Плющенко отказался от участия в шоу PrinceIceWorld в Токио 12-15 июля. Уважаемые японские фанаты, я с нетерпением ждал поездки в Японию и участия в PIW Tokyo, но я должен принять решение не принимать участие в шоу. Как вы знаете, у меня была операция в январе. После этого я начал тренироваться на льду с 17 июня. Я планировал подготовить новую SP для PIW Tokyo, но у меня сейчас есть боли в спине, и я пока не в состоянии выступить в шоу. Мне очень жаль, что пришлось принять это решение, которое вас разочаровывает. Спасибо за ваше понимание. С уважением, Евгений Плющенко. Здравствуйте, мои дорогие друзья, мои японские поклонники! Мне очень жаль, что в этот раз я не могу выступить на шоу PrinceIceWorld, потому что я всё ещё не здоров после операции. Я бы хотел выступить перед вами с моим лучшим представлением, поэтому мне действительно жаль, что я не в состоянии кататься на этот раз. До встречи! И мы, конечно, скоро увидимся на соревнованиях в Сочи-2014. Я вас люблю, мои дорогие друзья, японские фанаты. Спасибо вам! Скоро увидимся, пока! We were just waiting for the official announcement: the award-winning athlete has decided to take part to Opera on ice. For his fans, this will be the only chance to admire the so famous jumps of the Zar in Italy. Carolina: I'm already dreaming the emotions that we will feel skating into the Arena and I'm glad that there will be Evgeni Plushenko in the cast too. In fact this year the Show in Verona will be the perfect occasion to look at the greatest champions of figure skating, before the Olympic games. We will seek cheers instead medals, and this will be also rewarding. Our objective in September will be to make a tribute all together to lyric music by our art. On the contrary in February we will compete in the most important competition in the world: the winter Olympic Games''. I'm sorry that the translation is not so good, but the italian article was not so easy to translate. 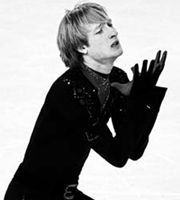 Ci sarà anche lo Zar Evgeni Plushenko sul ghiaccio dell’Arena di Verona il 28 settembre. [...] Mancava solo l’annuncio ufficiale: il pluripremiato campione russo ha deciso anche quest’anno di partecipare ad Opera On Ice. Per i suoi fan sarà anche l’unica occasione per ammirare in Italia i famosi salti dello Zar. Carolina: "[...] Sogno già le emozioni dell’Arena di Verona e sono contenta che nel cast sia presente Evgeni Plushenko. Quest’anno, infatti, lo spettacolo di Verona sarà ancora di più una vetrina dello sport mondiale, un’occasione per vedere all’opera i più grandi campioni del pattinaggio artistico su ghiaccio, prima delle Olimpiadi invernali. Invece delle medaglie, andremo a caccia degli applausi del pubblico, cosa per me altrettanto gratificante. A settembre il nostro obiettivo sarà quello di rendere omaggio tutti insieme alla musica lirica attraverso la nostra arte. A febbraio invece saremo in competizione per partecipare alla più grande manifestazione sportiva al mondo: le Olimpiadi invernali”. 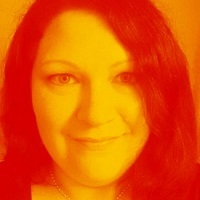 ... but a word of warning: I have not yet received "official" confirmation from Plushy's team! I really really pray (and I'm not religious person at all), that this news about "Opera On Ice" were true!!! It would be my first time ever to see him live on the ice!! !